NOTE: Colors may vary between what you see online and your actual printed product so I cannot guarantee that the color you see on your monitor will match the printed product. The calibrations of your monitor and what type of computer you use can affect how the colors appear online when viewing the final proof. 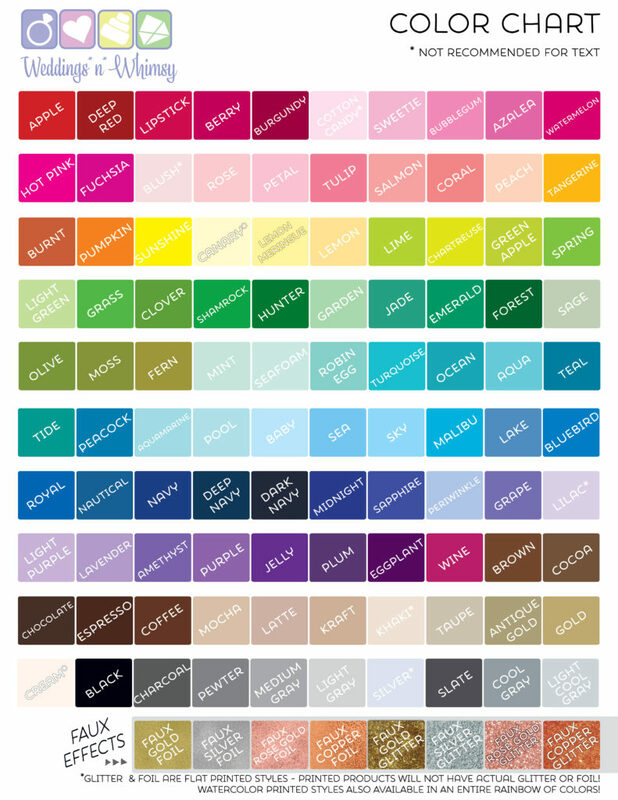 If you are concerned about color, I recommend requesting a sample print & printed color chart (for a small fee) so you can be sure that your item is the color you are expecting. You are also welcome to mail a swatch to me by snail mail so I can match the print as best as possible to my swatch book. There are no returns/refunds because the color you ordered does not match your monitor.